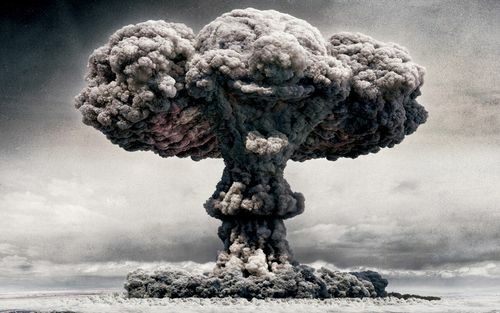 ▲ The news flash of North Koreans succeeding in testing their 3rd nuclear experiment is being broadcasted. As the experiment was sudden regarding the preparation of the nations around the world, it brought shock to most of the people in Korea. On February 13th, a news report shocked people around the world. North Korea claimed they had conducted a 3rd nuclear test declaring their intent of abandoning the hope of denuclearization. Their official statement of denying denuclearization is known to be a response to the sanctions on North Korea by the UN. The focus of the sanctions on North Korea started in October 2006 after their first nuclear test to prevent further damaging or testing nuclear war heads, missiles and other weapons of mass destruction. Nuclear weapons, which are the reason for the sanctions, were first intended to reduce the rise of conventional weapons. With the help of President Truman in 1950, America started reducing their military spending from 14.2% to 13.1% and the number of soldiers from 12 million to 1.5 million. However, the intention of nuclear weapon further grew to become more and more powerful after the successful explosions on Hiroshima and Nagasaki Island. With the almighty bomb in their hands, the United States started using the bomb as a tool during their coercive diplomacy. It has also been noted in a classified report named The Evaluation of the Atomic Bomb as a Military Weapon that the atom bomb has enough power to neutralize any military force and hinder rebuilding the country in the long run. For this reason, the power of the atom bomb, the Soviet Union also participated in developing nuclear weapons thus starting the first nuclear era. As nuclear weapons became important and used by America, other countries that have been under their coercive diplomacy started to create nuclear weapons themselves to gain equal status as United States. To illustrate, in 1960, China succeeded in arming nuclear weapons themselves thus gaining equal rights along with the US and the Soviet Union. Afterwards, countries such as Israel, Pakistan, and India which did not participate in the Nuclear Non-Proliferation Treaty (abbreviated as NPT) armed themselves with nuclear weapons. This allowed their international standing to rise and they became strategic partners with the other superpower countries. In its own history, North Korea started to develop nuclear weapon to gain equal international status with the United States. After a few years of development, on February 10th, 2005, North Korea made an official statement that it had nuclear weapons in their hands. Thus, this made North Korea the 9th country to have a nuclear weapon in their possession as a non NPT participant. The main point of focus is that North Korea started to show their obsession over the possession of nuclear weapon as they started to test more and more over the years. In 2006, they warned that they had conducted their first nuclear test and brought chaos to the Korean peninsula. In 2009, they notified their creation of a light water reactor power plant. These actions continue to multiply and are grabbing the media's attention. 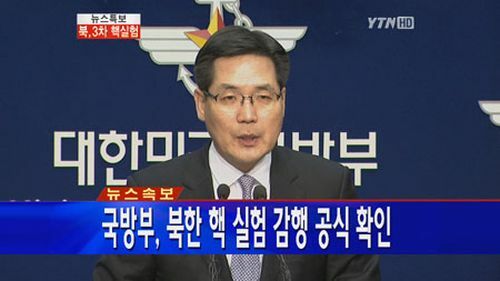 According to Jang Yong-suk, a senior researcher for Peace and Unification of Seoul National University has claimed in an interview with News 1st address, a cable news network, that there are two main reasons to why the North is so dependent on nuclear warheads. To begin, nuclear weapons provide power beyond the imagination thus reducing the need of maintaining a huge army. According to KIDA (Korea Institute for Defense Analyses), North Korea has approximately one million operational soldiers. The fee of keeping their enormous army has been noted to be around 16% to 22% of their national income, which has been increasing from 5.8 billion dollars in 2007 to 6.9 billion in 2010. Without question, a bomb that is a thousand times deadlier than any army would reduce the money placed in having such large scaled army. The next reason is said to be an effort to show their power to the United States. According to the Chosun-ilbo newspaper, North Koreans have sent documents detailing their position related to nuclear weapons to the United States in the past. The actions are claimed to be a method to show America their stance. For instance, North Koreans can show off their nuclear reactor and weapons to show their development and force other countries to admit that North Korea has great technology despite being a poor nation. What could possibly bring North Koreans to declare abandoning their denuclearization? This must be viewed as a conflict between the two countries, the United States and North Korea. The United States believes that denuclearization is necessary to prevent any further development and the use of nuclear weapons in the Korean Peninsula. Whereas North Korea believes that relieving the hostile relationship with each other and mutual nuclear disarmament is the means of denuclearization. What are the possible effects of North Korea abandoning denuclearization? Seeing the effects on an international scale, most believe that the United States will strengthen the sanctions against NK by restricting further economic tradeoffs. Moreover, China is known to have trouble keeping flexible connections with the United States as well as North Korea. According to Mike Chinoy, a North Korean specialist, he claimed on CNN that China is currently in a very tight spot where they cannot raise the hands of both US and NK. On a domestic scale, the economy will sharply rise for a limited time. According to CNN, as South Korea has been under threat by the North for decades, the effect would not last long nor would it be critical to our country. In sum, the burden is now given to the new president Park Geun-hye. Park has stated in her commitment that she will enhance the South’s relationship with the North. This seems to be the new issue that Korea needs to face in order to develop our status as a better country. New talks and summits needs to be arranged for South Korea to constantly solve these issues. Furthermore, there is a need to trade information with America as well to maintain the Korea-US defense cooperation system.